I’d like to think David Taylor and I have a lot in common. For instance, he was born in New England, and well, I lived in New England for a long, long time–23 years to be exact. We’re both admittedly slightly vertically challenged, and we also both started quilting the same year, in 1999. Unfortunately these very (loose) similarities end there because he is infinitely more gifted and talented in quilting than I am, and has since won numerous prestigious awards including the Fairfield Master Award for Contemporary Artistry from the International Quilt Association, Best of Show at International Quilt Festival/Chicago (twice), among many others. Formerly a graphic design artist in the newspaper field, David Taylor is now a full-time art quilter who is also a highly sought-after quilt instructor for free-motion quilting and his unique pictorial appliqué technique. David told me that he has recently moved from a one-bedroom apartment to a house with a brand new studio space, and as someone who is still (a year later) trying to put my studio together in my own home in Houston, I was eager to hear more about his new studio digs in Steamboat Springs, Colorado. Pokey: What was most important to you in designing your studio space? David: The most important factor in my studio layout was having space for my fabric addiction. My previous apartment looked liked an episode from “Fabric Hoarders: Buried Alive.” When I visit other quilters’ studios, their fabric is stored in bins or baskets (with lids!). I really like being able to actually see my fabric. It makes my heart feel good to see all of the fabric and to be able to ‘pet’ it. I also wanted a really nice table with space for storage. My friend Jim Vail of Willow Creek Craftsmen custom built my table for my short ‘hobbit’ stature. Pokey: Many times when artists move domiciles or studios they embark on a Big Clean, and pitch things that they no longer use in their art. Was this the case for you? David: Being a borderline ‘hoarder,’ I didn’t discard anything. And, since I only work on one project at a time, as my work is so intensive, I don’t really have UFOs. I did find a Piecemaker’s calendar quilt that I started in 2003, before I had even considered evolving into a quilting and appliqué teacher, and when I only knew how to machine appliqué! I have loved the pattern since I bought it, and now I’m working on finishing it. There are 13 barn blocks. I have so far finished seven of them. I should be working on a new quilt, but I have a very empty wall in my new house that needs a large quilt hanging on it. And the barn blocks make my heart happy. 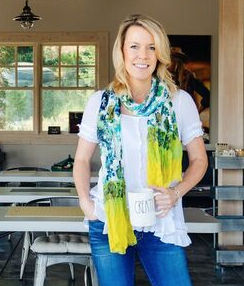 Pokey: What advice or tip do you have for someone wanting to design or revamp their studio space? David: It’s worth every penny to make the investment in a studio. After years of just ‘making do’ with inexpensive furniture (I used to have an old metal drafting table from my graphic artist days as a sewing table and shelving came from the consignment store) and having my fabric stored in cardboard boxes, it’s quite a treat to have sturdy fixtures! The table doesn’t shake when I’m stitching with the serger! Having custom furniture made to fit the space I have has made a huge difference in my comfort level. For those interested in creating pictorial quilts and would like to learn from David, he will be teaching his “Turn Photos into Quilts with Appliqué” workshop next month, February 22-24, at The Great Expectations Creativity Center in La Grange, Texas, and there are a few spots left. If interested, click here to learn more about this unique opportunity! Anyone who has had their quilts exhibited at our shows over the past several years has dealt with one of our very special people in Special Exhibits, Carmen Valls. Well, I am happy to report that she is now happily married to one very nice (and dapper) gentleman, Mr. Jon Beck! Meet the new Mr. and Mrs. Beck! There were a number of pictures on display at the reception, but this one of Carmen and her chihuahua, Fernando, was my very favorite! 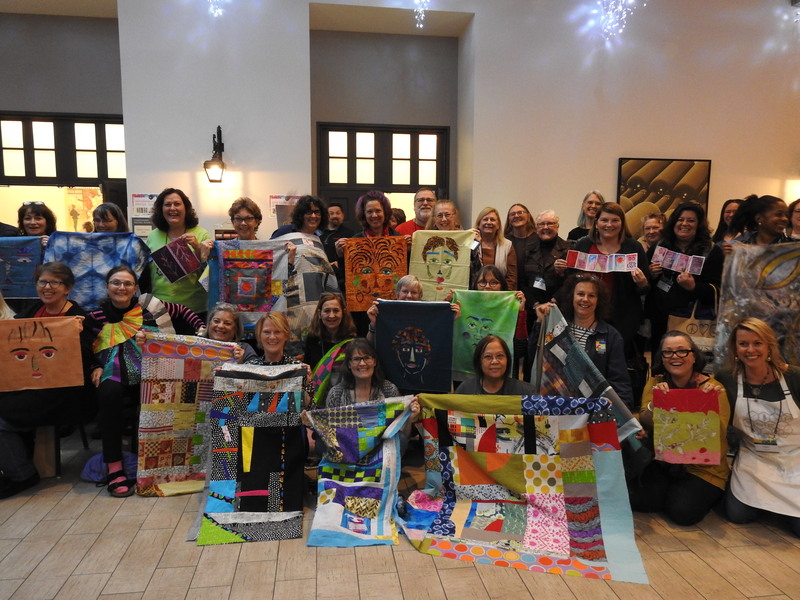 Quilt News Alert: Tomorrow (Tuesday) on The TODAY Show–Mary Fisher! UPDATE! Mary’s segment aired this past Friday on The TODAY Show, and you can view it below! News flash! I learned today that fiber artist and activist Mary Fisher will be featured on The TODAY Show tomorrow (Tuesday) morning! I believe it is the 9:30 segment so if you are unable to watch, make sure to set your DVR! The news I got was that just before the holidays, Jenna Bush Hager went to visit Mary in Sedona and they spent a fun day together. I can’t wait to watch her interview tomorrow! Free Fabric Giveaway! 20 Fat Quarters to Ring in 2013! Blog update!I loved reading all of the resolutions and I hope we all attain them! I would love to see pictures of works-in-progress or works completed so feel free to email them to me, and I can post on the blog. The winner of the fabric is Brigitte Baierl. Congratulations! I will email you for your address. I think y’all know how this works by now: I ask a question, you answer, and I randomly select a winner. The first free loot in 2013? How about a stack of fat quarters from Riley Blake Designs! What is your quilt-related New Year’s resolution that you will ATTAIN by year’s end? This mean that what you write in the comments area–whatever goal you type down–you WILL accomplish by the end of the year. And at year’s end, I am going to check back in to see if you actually attained your goal. My attainable goal: I will start and complete two art quilts by the end of the year, one of which I would like to enter into a juried exhibition. Maybe making two art quilts doesn’t sound like much, but I have two ideas in mind, and I would really like to see them through…not just keep the ideas in my head. Here’s to a Positive, Creative, & Quilt-Filled 2013! I hope everyone enjoyed some rest and relaxation with loved ones this past holiday season! I had a very mellow, quiet, and restorative break; the highlight was visiting my mother for a few days just outside of Las Vegas where she lives. Above is a view of “The Strip” in the distance, just beyond her rose bushes in her backyard. This is as about as close as I ever get to The Strip, because the only gambling I can handle is hedging my bets on how well I will free-motion stitch a quilt I have to make for someone! Bogie on his very own quilt. My mother picked up quilting again exactly one year ago, and she has been prolific ever since. I think she showed me about 10 quilts she has made in the past year alone, and the one above is one she made for her rescue pooch, Bogie. From left to right: Dianna, Bonnie, Kathy (my mom), and Sonia. Just after I landed, my mom told me she wanted me to meet her quilting friends, so off to the “Sewing Club” we went, which is a room in her local community center. It’s a pretty slick quilt/sewing facility outfitted with massive cutting tables and ironing stations, a long arm machine, and at least a dozen Janomes and Berninas. I was very impressed! My mom’s dogs, Tee and Bogie, resting on two of my mother’s quilts. Today is January 1, 2013. A new day, a new year, a new chance. Here’s to cramming in as many positive, healthful, creative, friend-filled, and quilt-filled moments as we can. 3. A Mack truck full of Marcia Derse fabric. Who could ever have enough of this stuff? And Marcia’s fabric makes for fine home accents and upholstered furniture! One of Louie’s last photos, posing on a Marcia Derse-upholstered mini rocker. What is not to adore about these two? 5. 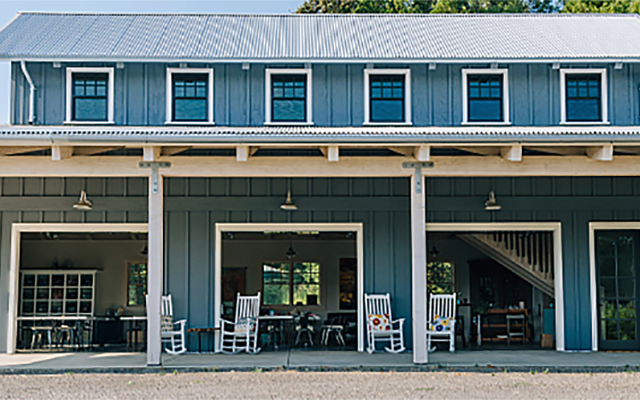 A weekend trip to Art Cloth Studios in San Antonio with Jane Dunnewold. Talk about a playground! 6. A new Bernina sewing machine! I saw this 750 series machine’s debut at Fall Quilt Market and was blown away by all it can do. 7. And heck, since we are asking for premium gifts, let’s ask Santa for a sit-down, mid-arm machine, too, like HandiQuilter’s Sweet Sixteen. I have played on this machine and if you like to free-motion quilt mid-to-large-sized quilts, this is a dream. 9. And no studio is complete without a studio pet. This little gal can fit into a stocking, too, although she would probably squirm a bit. I am thinking of adopting her. 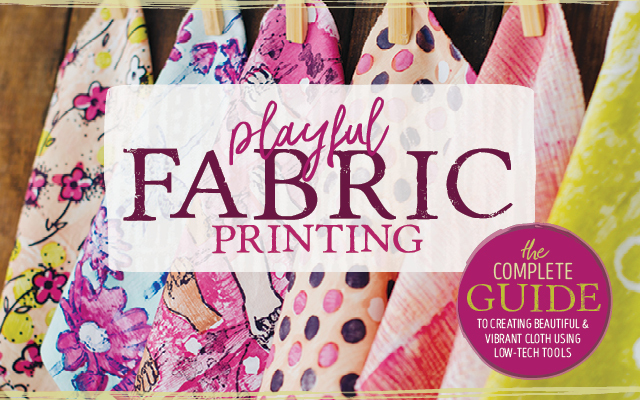 Tis’ the Quilt-y Season: Free Fabric & Your Holiday Wish List! UPDATE: Fabric winner…Congratulations to Amanda Kattner! I will email you for your address and ship these Ty Pennington fabrics to you! It’s an exciting time of year here at Quilts Inc. headquarters, as the last of the quilts on loan for Fall Festival are being shipped back to their makers, many of us are busy stitching holiday gifts for loved ones, and we are pleased knowing that Friends For Life is putting the money raised for Festival’s Pet Project (more than $20,000) to good use saving animals! Congratulations to: Patricia S., Tetonmountaingirl, and Hueisei! I will email you all individually to obtain your shipping information. Answer the following question and I will randomly select a winner tomorrow (Tuesday). Question: What quilt-y gadgets are on your holiday wish list? I know I have been off the radar this past week, and well…I have been, simply put, a bit heartbroken. Louie, my Min Pin, and my pal in All Things Mischievous, who graced many pages in Quilting Arts Magazine with ads and articles, appeared in online videos, Quilting Arts TV, e-newsletters, and countless pix posted on Facebook, passed away this past week. And two days later, our cat Dickens, the most amazing creature, who my friend and former colleague Larissa Davis lovingly adopted this past year so Dickens could be spared the Houston humidity, passed as well. Louie and Dickens used to be best buds, and Dickens, who was three times the size of Louie, used to spoon Louie at night, cradling him protectively. I like to think that Dickens sensed Louie had passed, and Dickens, ever the gentle guardian, thought maybe it was time for him, too, to cross the rainbow bridge, and take care of Louie once again. It’s been hard for me to put this blog post together. I admit I can’t quite find the words, but I think a fitting thing to do is write a brief letter to them, letting them know–not just on behalf of me–but for John, the extended Quilting Arts family, Larissa and her family, and all the friends and fans these two had…how grateful we all were to them. For letting me know how much you will miss me. And for guarding art nearly finished. For showing me how yawning is done! And my pilot on the shorter ones. For gazing at me like I was the most special person ever. And for showing affection to those who had been in your world a long time. For all of these reasons, you will be dearly missed. About three years ago I was painting fabrics outside with the animals nearby. It was a beautiful sunny afternoon with a little Dave Matthews on the iPod docking station, and I grabbed my flip video to capture the moment. Nothing really happens here; it was just an inconsequential but exquisite moment on a happy day. Super Cyber Monday Special: FREE Quilt Books! Whether you are a budding or experienced free-motion quilter, if you are looking for motifs with a modern twist, you will want this book! Angela taped several segments for QA TV earlier this fall, and she makes complicated motifs fun and easy to accomplish. Written by Alissa Haight Carlton, one of the founders of the Modern Quilt movement, this book is packed with 20 contemporary quilt projects that would make those on your gift list happy little campers, indeed. Whether you want to whip up a cute clutch to complement a holiday outfit or stitch a tote in an afternoon for a gift, with 19 projects that yield about 75 variations, you wont run out of ideas! 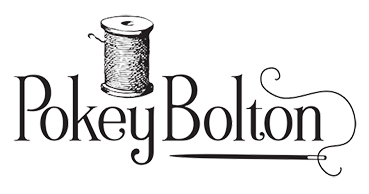 Are you taking the handmade pledge this holiday season by stitching holiday decorations or quilting some gifts? Write in the comments field what you plan to accomplish this holiday season (and if you have posted a picture to your blog of anything you’ve made, share the link) and I will randomly select three winners–each to win one of these books–on Wednesday. Yesterday morning the local news was all aflutter about the spaceship Endeavour flying over the city of Houston as it made its way to retirement in California. The 747 jet plane that carried Endeavour took off at sunrise, at exactly 7:02 A.M., heading west and hovering a mere 1500 feet above sea level so Houstonians could pay a final tribute as it flew by. Living a bit north of downtown, I didn’t think I would be able to catch it in the early morning skies, but then I heard a loud rumbling, and rushed out my front door in my nightgown…only to discover the noise was from a lawn mower. But then when I went back upstairs, my house began to tremble, coupled with a deafening noise from the skies. I opened my bedroom window, and after noticing a looming shadow traverse across my pool, I looked up, and there was the most awe-inspiring site: The shuttle Endeavour flying piggyback on that 747 right over my house. To see it so close and see it in person…well, there are no words. Years ago, my good friend Cait Florschutz, who was reading a lot of Carl Sagan at the time, encouraged me to read his book Pale Blue Dot. There is a passage in it that is one of the most powerful bits of writing I have ever read. To read the full passage click here, or better yet read the book, but this bit of writing inspired me in 1998 to make my very first quilt block. It was a crazy quilted piece featuring a number of hand-embroidered constellations: Cassiopeia and Gemini, Orion and Ursa Major, and in the center of the block, depicted in a tiny cluster of French knots with thread in robin’s egg blue, was Earth. I would share a photo of this very first block I ever stitched, but I’d only embarrass myself because the stitching is so bad. But needless to say, I was inspired by Mr. Sagan’s words to quilt this, and the other morning while watching Endeavour sail across my bedroom window, I thought about how I will always remember that very brief moment in my life–where I was, where I have been, and where I have yet to go. It is a moment that I wouldn’t be surprised inspires a quilt someday soon.